quality of life and well-being of the survivors. Joanna Herr is a board member of From Chrysalis to Wings Psychotherapy and Research Center and serves as Creative Director and is co-director of our A.W.O.L. Program. A.W.O.L. 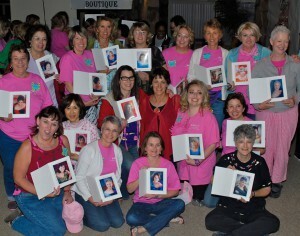 (A Way of Life…after diagnosis) is a program specifically designed for women who have or have had breast cancer. As part of A.W.O.L., From Chrysalis to Wings conducts yearly retreats to help breast cancer survivors tap into their grief and loss as a result of breast cancer diagnosis, the treatment, the loss of a breast and the altered body image. The retreats also give an opportunity to deal with guilt feelings, the anger and the “why me” question and provides an opportunity to express gratitude for their survival, and to remove the stigma of the disease. Retreats are held at a camp where a beautiful nature setting and a loving nurturing environment can be provided. In short, the 3-day (Thursday evening through Sunday morning) retreats are designed to help improve the quality of life and well-being of the survivors. WGN hopes to create true partnerships where we can celebrate the successes of women all around the world. WGC Immersion Trips have two goals: to promote understanding of different cultures aimed at building respectful collaborative relationships across the globe; and to provide education for grassroots women around the world as a means of promoting women’s leadership and community development. The members of WGN understand the importance of building support networks on a local level to assist them in their day-to-day affairs and are actively involved in their Branch activities. However, as the world becomes flatter and more accessible through travel, greater telecommunications and economic necessity, WGN is on the forefront in extending its talents and desire to get to know and support other women globally. 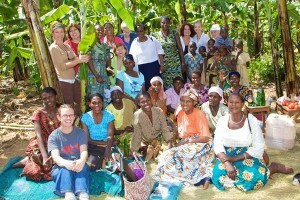 partners to women in villages in the developing world, raising awareness and encouraging their own communities to share their resources in a way that supports empowerment. Through member donations, WGN members invest in microfinance programs that make small loans to women-owned businesses in underdeveloped countries. It has been observed that giving women the control and the responsibility of small loans raises their socio-economic status, which is seen as a positive change to many of the current relationships of gender and class. Loans to women tend to more often benefit the whole family as they allow mothers to feed, clothe and educate their children. WGN has researched some excellent organizations and its Branches have chosen to partner with sister cities through a number of different microfinance organizations on the ground working with villages all around the globe. WGN hopes to create true partnerships where we can celebrate the successes of women all around the world. Africa was a place Joanna dreamed of since she was a young girl of just eight years old, but it would take another thirty years for that dream to finally come true. For Joanna the urge to travel and take risks was well seated in her DNA. After completing several trips to Africa and South America and understanding the needs developing countries, Joanna has incorporated a ‘giving back’ philosophy into her own business. Joanna has created a dream career around doing what she loves – corporate and travel photography – ‘Phototrotting with a Purpose’. 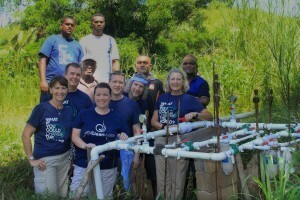 Give Clean Water volunteers and locals in Nadi, Fiji. Joanna was inspired to participate in Give Clean Water, GCW during a meeting with a friend involved in the organization. She noticed photos on her friend’s wall of children from foreign lands drinking clean water and she asked about the organization. Joanna was naturally curious because she had already been involved with Water For Life, another non-profit organization providing clean drinking water to communities in third-world countries. Once she heard the stories of what Give Clean Water does around the world, she was hooked. Joanna’s first trip supporting GCW was to Fiji earlier this year with five other volunteers. Despite Fiji’s attraction as a popular vacation spot, the people of Fiji live in poverty and struggle with a lack of fresh drinking water. Joanna’s first goal before the trip was to raise money for her airfare and 50 water filters. She raised $2700 and donated it all to buying water filters and paid her own airfare. She wanted to make the most of giving back to the Fijians as she could and wanted every dollar to count in that effort. Fiji is a collection of small islands north of New Zealand in the South Pacific. 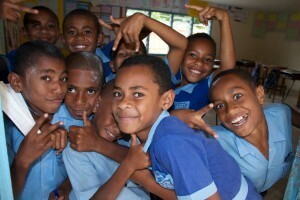 Joanna’s group went to Viti Levu, largest of the two main islands. They stayed in Nadi and travelled to remote villages from there. There was a desperate need for the water filters especially since a Typhoid outbreak had recently plagued Fijian communities. 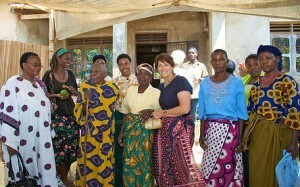 What Joanna enjoyed the most about the project was how welcoming and cooperative the villagers were. They took an active interest and participation in setting up the filters. Clean water meant a major improvement to their quality of life. 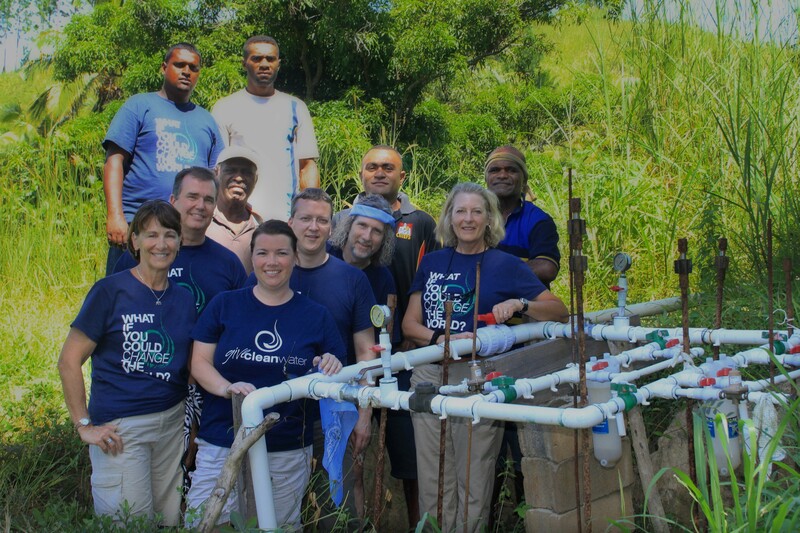 GCW worked with the Fiji Ministry of Health to create a water committee in each village and took GPS and statistical data to document the impact of the filters on the health and mortality of the villagers. Joanna was impressed with the involvement of GCW because they not only installed the filters but also followed up to make sure their efforts worked to save lives. Once all the hard work was done, Joanna took a little time to explore Fiji and interact with the locals. She visited some of the smaller islands and snorkeled the crystal blue green waters surrounding this remote tropical paradise. One of Joanna’s favorite things to do when visiting another country is to get off the beaten path and explore but she can’t help but continue giving back even when she’s taking a break. Joanna and a spent time visiting local schools and churches. They donated t-shirts to homeless Fijians and supplies to Ratu Naivalu Memorial School in Lautoka, The children at Ratu thanked them by singing “Sweet Chariot.” For Joanna, its moments like this that makes her heart swell with happiness and validates why she loves to give back to those in need.